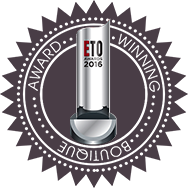 Enjoy or give a lovely massage with this Exotiq massage candle. 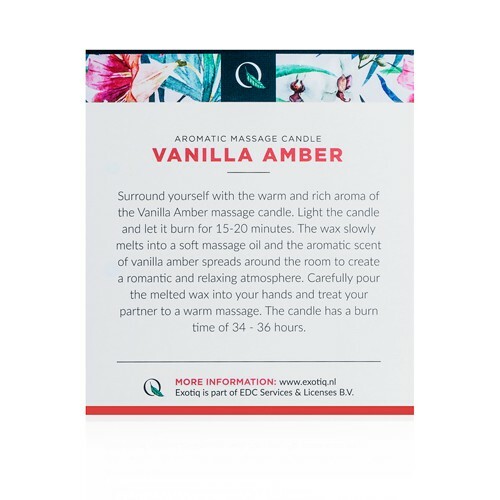 Light the candle and enjoy the wonderful vanilla amber fragrance that spreads through the room. Let the candle burn for 15-20 minutes and carefully pour the melted candle wax into your hands. Use this warm massage oil to give a relaxing massage. Cocos Nucifera Oil, Prunus Amygdalus Dulcis Oil, Butyrospermum Parkii, Cera Alba, Parfum (Fragrance), Benzyl Benzoate. 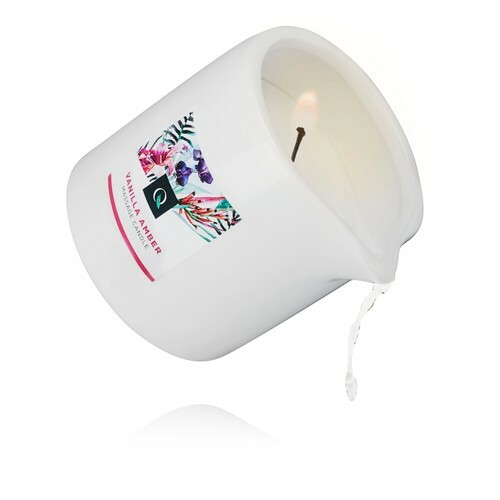 Description Enjoy or give a lovely massage with this Exotiq massage candle. 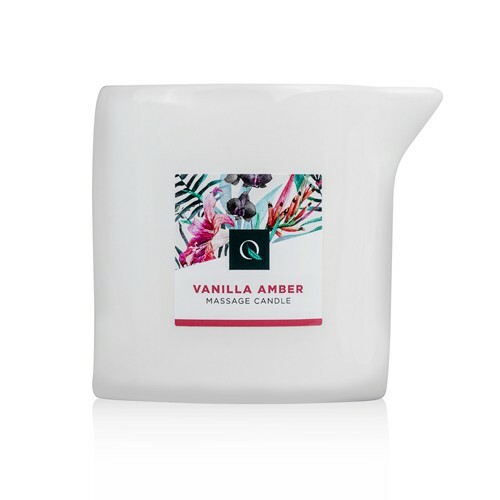 Light the candle and enjoy the wonderful vanilla amber fragrance that spreads through the room. Let the candle burn for 15-20 minutes and carefully pour the melted candle wax into your hands. Use this warm massage oil to give a relaxing massage.